UAE and Oman offer an unexpected cornucopia of contrasts that, when taken together, make for an unforgettable vacation experience. From the dazzling gem of sophistication that is Dubai, to the cosmopolitan capital city of Abu Dhabi, to Umm al-Qaiwain’s long sweeps of beautiful beaches, the United Arab Emirates (UAE) has quickly become a star in the realm of luxury destinations. Seven emirates – Abu Dhabi, Dubai, Sharjah, Ajman, Umm al-Qaiwain, Ras al-Khaimah and Fujairah – joined together in 1971 to form a constitutional federation. Although most of the land is desert, it still offers vividly contrasting areas, from the Empty Quarter, the largest sand desert in the world, to lush oases, rocky mountains and fertile plains. UAE occupies a large sweep of land along the southeastern tip of the Arabian Peninsula, with Qatar to the west, Saudi Arabia to the south and west, and Oman to the north and east. The capital and the largest city of the federation, Abu Dhabi, is located in the emirate of the same name. Although UAE is known widely for its oil, wealth, shopping and sophistication, the country also has a quieter side that can be experienced in the desert of the Bedouin or the centuries old neighborhoods, mosques and markets of Dubai. Sharjah, the capital of the emirate of Sharjah, has built a strong cultural heritage and identity, and was named UNESCO’s ‘Arab Capital of Culture” in 1998. The Sultanate of Oman, on the southeast coast of the Arabian Peninsula, shares a border with the UAE as well as Saudi Arabia and Yemen to the southwest. The coast is formed by the Arabian Sea on the southeast and the Gulf of Oman on the northeast. Oman is rich in history with about 500 forts, castles and towers in various architectural styles. 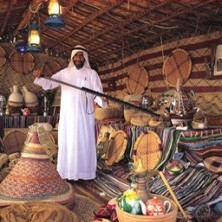 Like UAE, it offers a wealth of experiences related to both the desert and the sea. Its appealing souks can be found in many of the towns throughout the country. UAE and Oman make perfect partners for an Arabian adventure. The focus on women’s issues here at home reflects a wider wave that is ever so slowly circumventing the planet. I have a very dear friend from Vermont who has made it her mission to help girls and young women in Kenya gain access to the classroom. In Jordan, the Bani Hamida Women's Weaving Project is hosted by the Jordan River Foundation. Based in Mukawir, it promotes Bedouin handicrafts to support and improve the economic and social wellbeing of Bedouin women and children, who have few opportunities to earn income. The project is reviving traditional Bedouin rug weaving, helping to maintain the social fabric of the Makawir area and provide even more women with income opportunities. Also in Jordan, Iraq Al-Amir Women’s Cooperative was founded by the Noor Al-Hussein Foundation in 1993. It aims help women become financially independent by increasing their income while also preserving local heritage. The cooperative, which is managed and run by local women, has provided training for more than 150 women from all villages of Wadi Seer on a variety of handicrafts. I see these women, and their smiles tell the story far more eloquently than I. Explore the desert kingdoms of United Arab Emirates and Oman to discover pockets of traditional culture such as the Bedu, ancient forts and fertile oases. Savor pristine beaches and extraordinary shopping areas. From the dazzling shopping center of Dubai to the cosmopolitan capital of Oman, Muscat, you will enjoy a variety of unique experiences. From trekkers to history buffs, this journey presents unique opportunities, viewpoints and cultural encounters through a variety of landscapes. 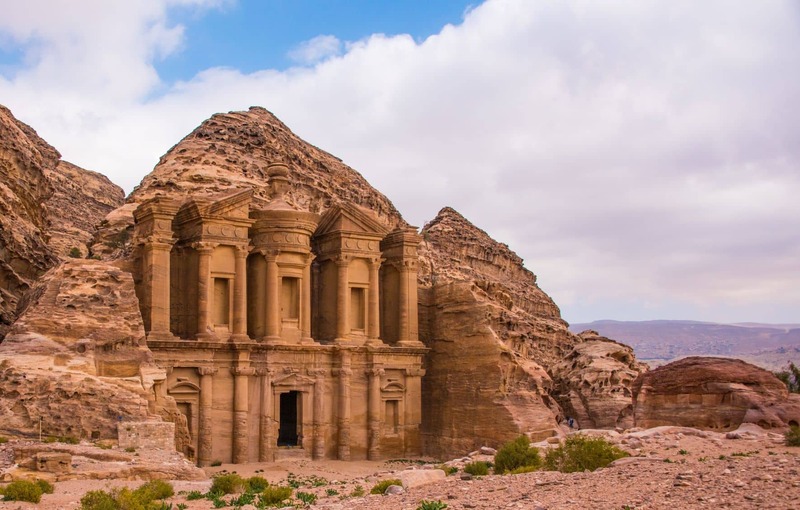 Discover the world of vintage cars, take a swim in the Dead Sea and explore ancient cities including the 2,000-year-old Rose City of Petra in this original adventure.